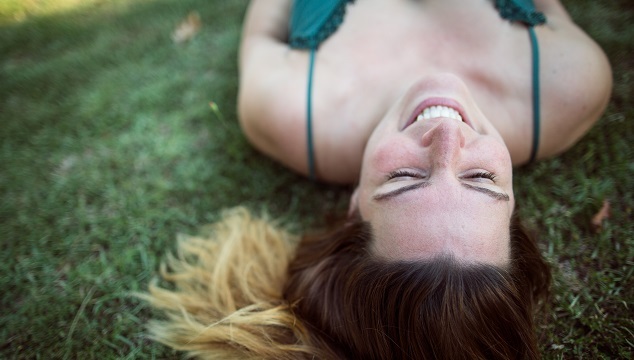 This year, I decided to stay in Atlanta during Sukkot (Jewish holiday) for the first time. I have a long list of places I want to visit in Atlanta and it was the perfect time to do so. Decatur has been on my list forever. Most of you who live in the city know Decatur as a “foodie” spot. Beside the history, the place has some of the best restaurants. Dustin, a friend in Atlanta, who is also a foodie himself, joined me. Our plan was to stop whenever we will felt like having appetizers and move on the next stop. First on the list was Truman Tavern. We ordered cottage chips and baked brie. First to arrive were the cottage chips and the beer. The chips are homemade, served with blue cheese dip. To start, it was a great snack. The baked brie was a delightful surprise. 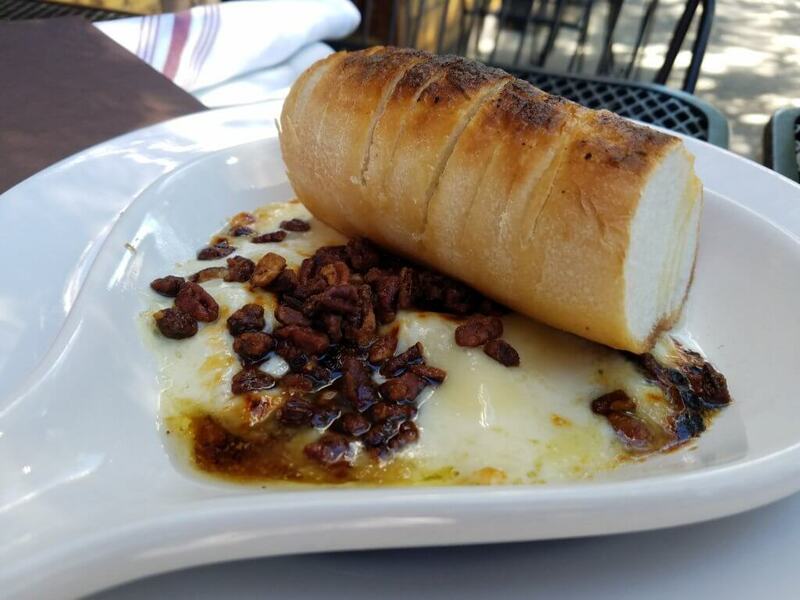 They bake the brie – obviously – and on top is a pecan bourbon sauce. It is served with a fresh baguette with little bit garlic spread. 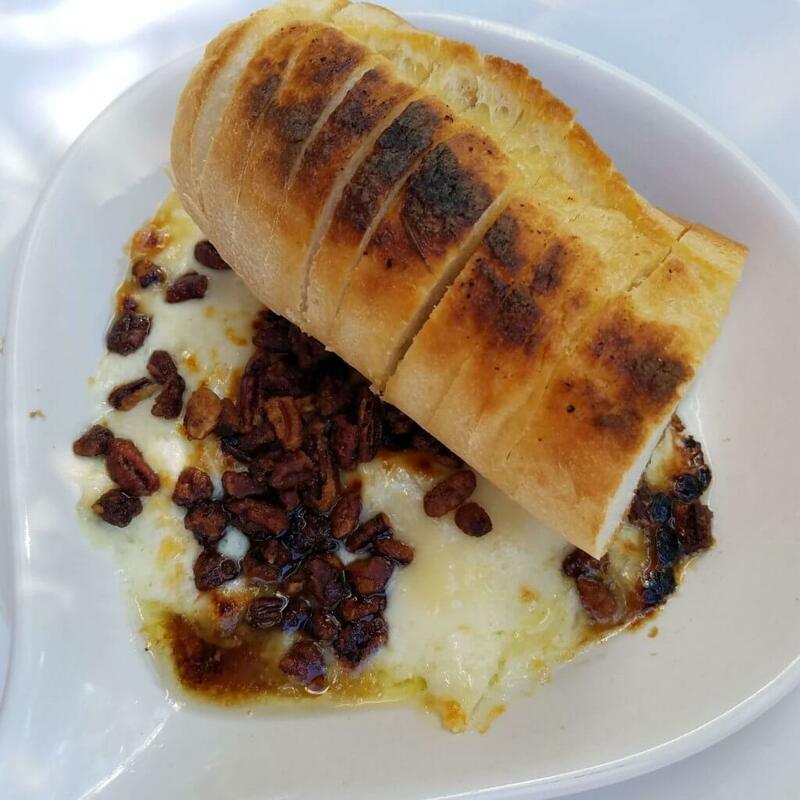 You take slice of fresh baguette, and dip it in the baked brie. And this is when you can die and go to heaven. The simplicity of the dish makes the taste even better. You better be sure when I go back to Truman Tavern, I’ll be trying the entire menu. The second stop was Pinewood. We sat at the bar and this time Dustin chose two appetizers. I mentioned, when I wrote about The Lawrence (saying-goodbye-to-an-oldnew-friend) the cocktail scene in Atlanta. Pinewood is one of the place that definitely at the top of that list. 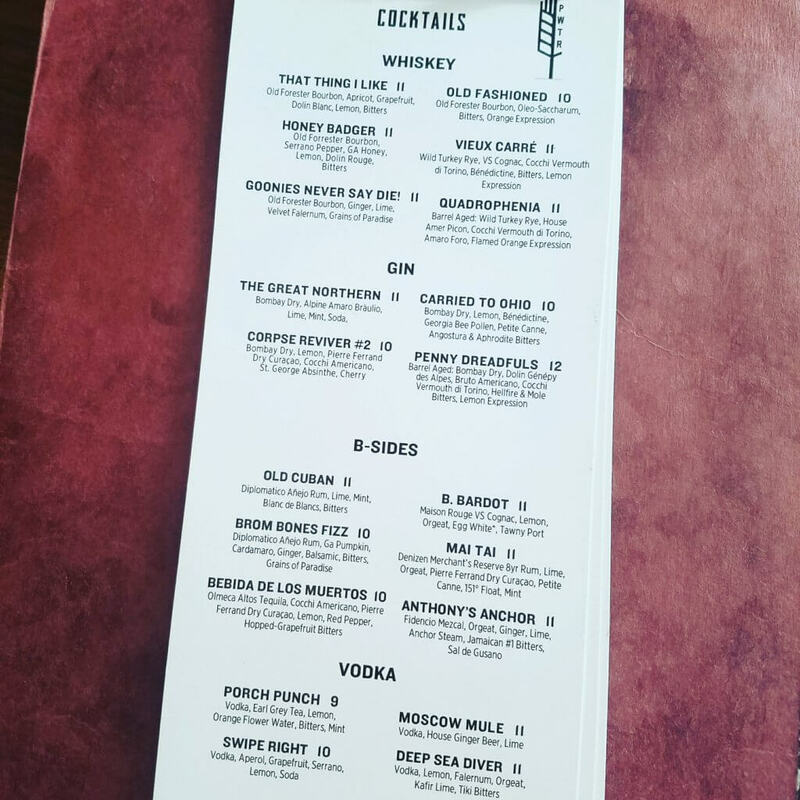 Their cocktails menu ranges from light to stronger drinks. 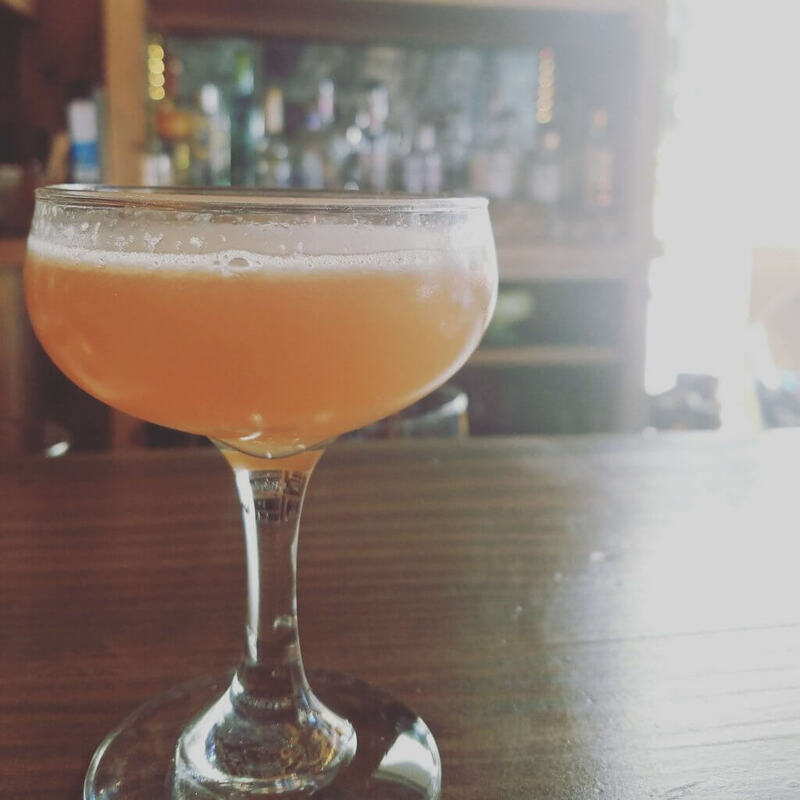 I took “That Thing I like” cocktail. I chose it because I liked the name. And guess what? It was exactly the thing I like. Perfect choice. First dish to arrive was charred pulpo, which was a squid served on top of roasted sunchokes and squid black ink sauce. What can I say? They had me with the roasted sunchokes. In Israel, we call these Jerusalem artichokes. I’ve been looking for them since I arrived in Atlanta. As a foodie, the fact that the Pinewood chef chose to use it shows thinking outside the box and it left me craving more of his creations. While Dustin and I tried to soak up every bit of the squid ink sauce left on the plate, the roasted pork belly arrived. It was a great combination of pork served with with yams and greens soaked in lemon juice. While writing this blog, I took my phone out to check out the pictures I took that day. Apparently, I didn’t take any pictures in Pinewood. I guess that means I have to go back.